Would you make a good customer service representative? Take our career test to find out how you match with this and over 800 other careers. What is the workplace of a Customer Service Representative like? Customer service representatives interact with customers on behalf of an organization. They provide information about products and services, take orders, respond to customer complaints, and process returns. Many customer service representatives work in customer contact centers. Others work in insurance agencies, banks, stores, or other places that have contact with customers. Customer service representatives answer questions and resolve problems. When a customer calls and has an issue that needs to be handled, a representative will usually open the customer’s file in the company’s computer system. Representatives use this information to solve problems and may also make changes to customer accounts, such as to update an address on file or cancel an order. Customer service representatives also have access to responses for the most commonly asked questions and to specific guidelines for dealing with requests or complaints. In the event that the representative does not know the answer to a question or is unable to solve a specific problem, a supervisor or other experienced worker may help. Many customer service representatives answer incoming calls in telephone call centres, which are increasingly called customer contact centres. Others interact with customers face-to-face or by email, live chat, or other methods. Some workers specialize in a particular mode of communication, such as voice, email, or chat, but others communicate with customers through more than one contact channel. 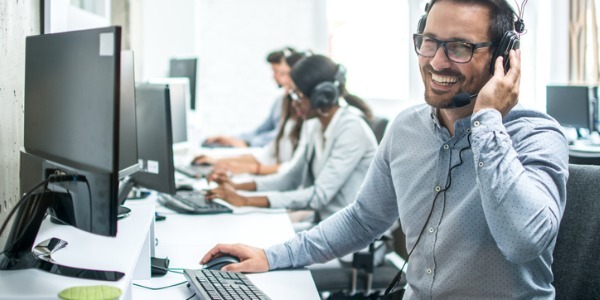 For example, voice agents, who primarily deal with customers over the phone, may respond to email questions when there is downtime between calls. Customer service representatives work in almost every industry, and their job tasks can vary depending on where they work. For instance, representatives who work in banks may answer customers’ questions about their accounts, whereas representatives who work for utility and communication companies may help customers with service problems, such as outages. Representatives who work in retail stores often handle returns and help customers find items in their stores. Some representatives may help to generate sales leads, sometimes making outbound calls in addition to answering inbound ones, although selling is not their main job. Customer service representatives need strong listening and speaking skills to clearly and accurately respond to customer inquiries and concerns. 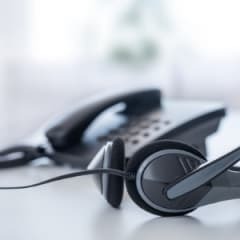 They must listen carefully to customers to understand their needs and concerns in order to be able to resolve the call as efficiently and effectively as possible. Workers who interact with customers by email, live chat, or other non-voice contact channels must write well, using correct grammar, spelling, and punctuation. They must respond to questions and complaints in a friendly and professional manner. Customer service representatives interact with many different people. Creating and maintaining positive relationships is an essential part of a customer service representative’s job. Workers must be patient and polite, especially when dealing with difficult or angry customers. When addressing customer issues, customer service representatives need to analyze situations, investigate problems, and determine solutions. Are you suited to be a customer service representative? Customer service representatives have distinct personalities. They tend to be enterprising individuals, which means they’re adventurous, ambitious, assertive, extroverted, energetic, enthusiastic, confident, and optimistic. They are dominant, persuasive, and motivational. Some of them are also social, meaning they’re kind, generous, cooperative, patient, caring, helpful, empathetic, tactful, and friendly. Does this sound like you? Take our free career test to find out if becoming a customer service representative is right for you. Many customer service representatives work in call centres, or customer contact centres. Others work in insurance agencies, banks, stores, or other organizations that interact with customers. Some work from home; although the number of at-home agents is still relatively small, their numbers are growing. Customer contact centre workers usually sit at a workstation with a telephone, headset, and computer. These centres may be crowded and noisy, and the work can be repetitive or stressful, with little time in-between calls. Customer service representatives who work in retail stores may interact in person with customers. Whether they interact by phone, chat, or in-person, they occasionally may have to deal with difficult or angry customers, which can be challenging.